All week long the kids knew we were going to see some Monster Truck Action on Friday Night in Augusta, Georgia. They could hardly wait. It was an excellent bribe for good behavior. 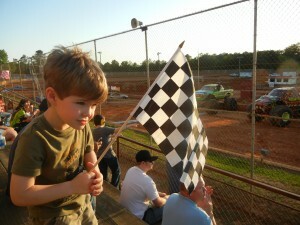 We loaded up the car and headed just down from Gate Five at Fort Gordon to the Gordon Speedway. We arrived early before the show to check out the trucks. These trucks were huge. I guess that’s why they call them Monster Trucks. The show involved crushing small cars – always exciting. A few jumps and driving just on the back two wheels. Woo-wee. It was a bit loud. Folks that had been to the speedway before came prepared with headsets. We did not. 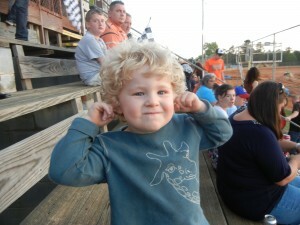 But we were able to sit a little away from the action and miss the big noise. Other action included a great motocross race. The food was very affordable. We got some fries and Gatorade. 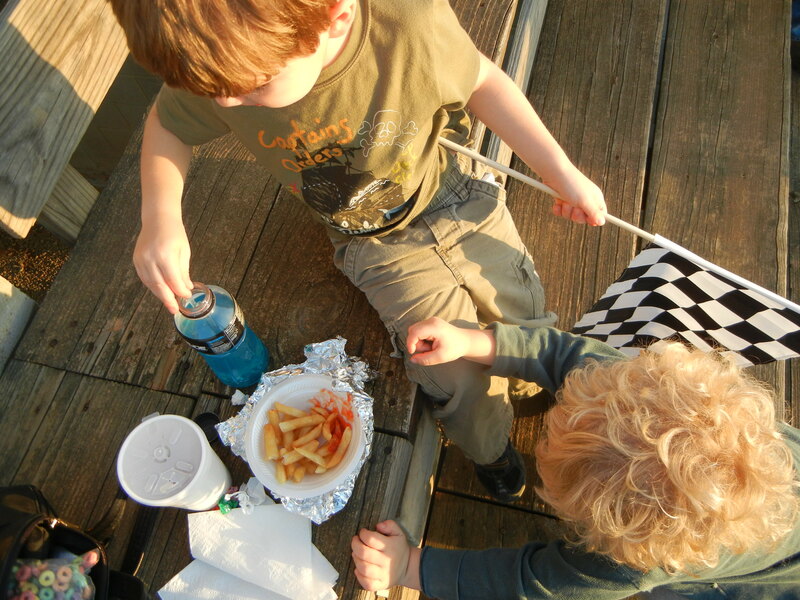 No alcohol at the track—very family friendly. There is even a section of the stands just for families. William loved Black Knight – it was the truck driven by the only female racer. Jacob liked the green truck. 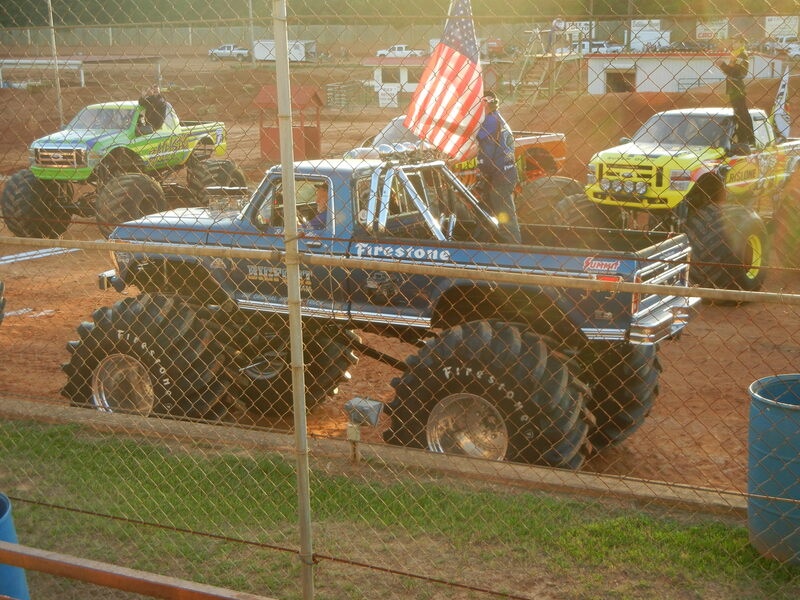 I personally liked seeing Big Foot – the very first monster truck ever. But the other big hit was the racing flag. When having to make the choice between the flag and funnel cake - the boys choose the flag. I do feel that I missed out on that one. The funnel cake looked really good. You can catch a race this Friday, July 22nd at the nearby Modoc Speedway, which is just a short drive over to McCormick, South Carolina.